As he opened Apple's latest breathless gadget debut last week, CEO Tim Cook struck three appropriately serious notes for a company that will turn 40 on Friday. 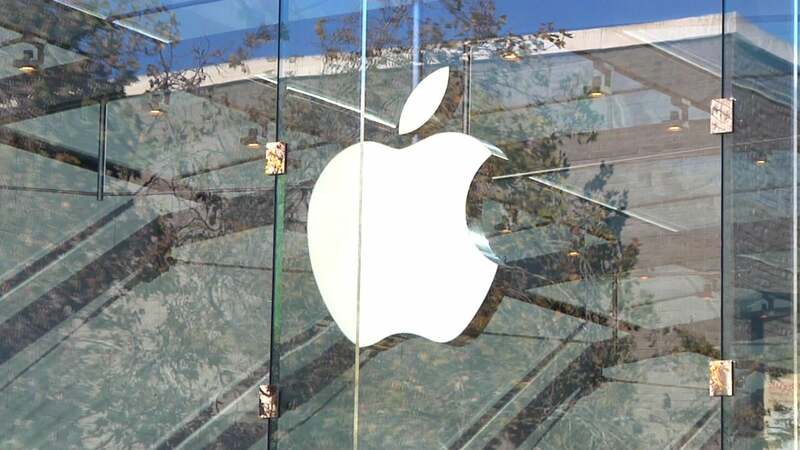 Apple is safeguarding Americans' privacy, Cook said. It's recycling and going renewable. It's even helping to cure diseases by making ResearchKit. Clearly, this is no long-haired startup in a garage. But like a onetime rebel who's starting to be defined more by his work ethic than by his wackiness, Apple is starting to show signs of what may be an impending midlife crisis. It certainly has some of the markers of midlife, like an endless feud with a neighbor (Samsung), and the sprawling, never-finished project in the garage (the iTunes application). But that's just how things go. Here, however, are five things Apple's doing that may signal an all-out, reggae-playing, baldness-battling midlife crisis waiting to happen. But for each one, there's also a perfectly plausible alternative explanation. Crisis: Rock stars, who get paid to act young, seem especially prone to midlife crises. If Apple were a rocker, it would be a multi-platinum artist many times over with new releases known to attract block-long lines. But like a pop idol who's grown a little thick around the middle, it's starting to see the excitement fade. In Apple terms, that means iPhone sales are nearly flat. So what's the company doing? Putting out an old fan favorite (the iPhone 5S) in a remastered edition with some extras thrown in. The SE will probably sell millions, but can Vegas and the revival circuit be far off? No Crisis: It's not Apple's fault iPhone growth is slowing. The smartphone market is positively saturated compared with 2007, when the first iPhone took the world by storm. The SE may prove popular among classic-rock types who are perfectly happy with the phone they bought in 2012, give or take a few cores. But with the lowest price of any iPhone yet, it might attract new audiences, too. Crisis: A new set of wheels (especially one that's red and fast) is the classic symbol of the midlife crisis. It's expensive, it's flashy, and it promises a more exciting lifestyle. A company can't get behind the wheel of a convertible, but Apple may be doing the corporate equivalent of that by building its own car. What business does Cupertino have getting into the motor game? A dozen major manufacturers have been there for decades, and even Google is years ahead. Is it really about what a sleek, Jony Ive-designed electric car would do for the company's allegedly tired brand? No crisis: On the other hand, if vehicles start driving themselves, they'll really be computers on wheels, so why shouldn't Apple get into the game? The shift to autonomous technology could crack the market wide open. A car would be the ultimate mobile device and a way for Apple to transplant its complete phone/tablet/cloud/entertainment ecosystem from home to the road. 3. The Mac is a perfectly good personal computer, but Apple now says the slimmer, sexier iPad is the future of computing. Crisis: Going for a new, more casual look is another common sign that someone's feeling their age. Never mind that Macs have been style winners for years; Apple seems convinced they make it look fat. 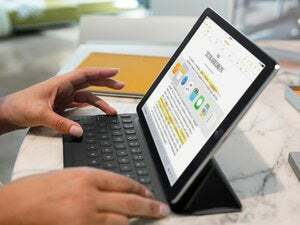 Much of its pitch for the new, 9.7-inch iPad Pro last Monday centered on why it’s good for work tasks like videoconferencing and generating reports. Apple never told the audience to trade in their (more expensive) Macs for the iPad Pro, but it did push the new device as a replacement for older Windows PCs. The implication was clear: Go mobile and leave your clunky hard-wired keyboard and mouse-driven OS behind. The new iPad Pro is the skinny jeans of desktop computers. Is someone trying too hard? No Crisis: Apple’s not just looking in the mirror and hating what it sees. Using convertible tablets for business is a real trend, as evidenced by healthy sales of Microsoft’s Windows-based Surface. Work is going mobile and cloud-based, so fewer workers need even a laptop PC. And as overall iPad sales fall, the company needs another way to move hardware. Few consumers will shell out for a new iPad if they only use their current model for browsing, video streaming and social media. Crisis: If a 40-something accountant starts moonlighting as a surf instructor and a deejay, it may be too late already. In the past two years, Apple's bought a streaming music and headphones company (Beats Music), started streaming cable channels and live sports, and even producing its own TV shows. Now the company’s up against broadcast networks, cable companies and startups like Spotify. We get it: You're cool. No Crisis: Entertainment has been a big part of Apple's business for years. The company made its iPod a hit by selling songs on iTunes. Later, it gave consumers a reason to buy the Apple TV by offering downloads and rentals of movies. Those content businesses have long outpaced the sale of devices in terms of revenue, and now the single-serving digital media business that Apple pioneered has shifted to streaming. This is just Apple evolving with the times. Crisis: Not content to be the richest person on the ritzy block called Silicon Valley, Apple’s building a giant home that looks like a flying saucer. Maybe that’s because some other tech companies have found a way into the actual spaceship business. But even that’s not enough: What could be more midlife crisis than renting a pied-a-terre in the city? Apple getting ready to move into 76,000 square feet of office space in San Francisco’s SOMA district, the heart of startup country. No Crisis: Putting up a new, cool-looking headquarters is a common way for companies to make their mark in Silicon Valley, not to mention necessary to make room for a fast-growing workforce. Google opened a major addition to its GooglePlex in Mountain View just last year. Facebook finished its own futuristic home base last year in Menlo Park. Apple’s been in its main offices on Infinite Loop in Cupertino since 1993, so it’s earned an upgrade. And space in San Francisco is anything but a playground. It’s a key asset for anyone who wants to compete for twenty-something workers from urban startups. Youth, after all, has its benefits.